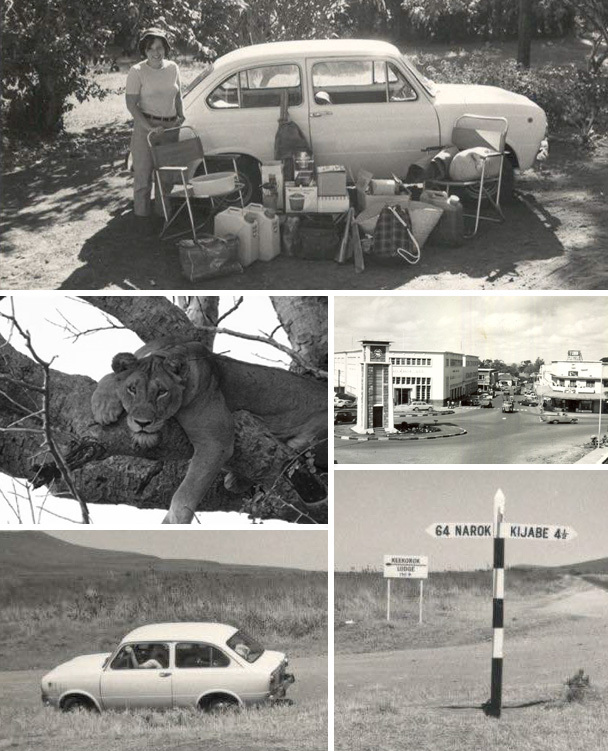 On February 16th, 1968 Rozanne and her husband set off from Nairobi in a Fiat 850, packed to the gunwales with camping kit, for a safari in the Ngorongoro Crater and beyond. They drove straight through the Masai Mara, which you could do in those days, the little car braving murram roads and even the odd pothole, only balking at the prospect of going down the steep road into the crater. The one time, Rozanne tells me, that she felt her husband was perhaps a little ungallant was when he made her push the car out of the mud in Manyara National Park under the insouciant gaze of a pride of tree-climbing lions whilst he remained safe behind the wheel! Well, half a century later Rozanne went back to the Masai Mara with friends and did the safari all over again, this time in a rather more rugged Land Cruiser driven by one of our expert guides, Festo, who has worked for our favourite safari outfitters for over a quarter of a century. There were of course fewer tourists in the 1960s than there are today, but the great spectacle of the migratory herds surging across the endless plains of East Africa is the same now as it was all those years ago. Even if you have been to the Serengeti before I would urge you to go again so I can mount an expedition for you to see one of the last hunter-gatherer tribes on earth and to walk into the hills beyond the Ngorongoro Crater to Ol Doinyo Lengai, the sacred mountain of the Masai. PS: I drove a Fiat 850 in 1976 from the mouth of the Dordogne river to its source high up in the Auvergne. Trusty little carriages, they were. There’s an old anecdote about an intrepid explorer back in Victorian times who on returning from Uganda made straight for the Natural History Museum. Tucked under his arm was a dead shoebill. In those days, handsome rewards (and even immortality if the species was named after you) were offered for unique specimens. Sadly, he along with the man who had carried a duck-billed platypus all the way from Australia was turned away and advised that he should pull the other one; his sample — a common stork into the head of which he’d evidently shoved a shoehorn — was clearly a fake! 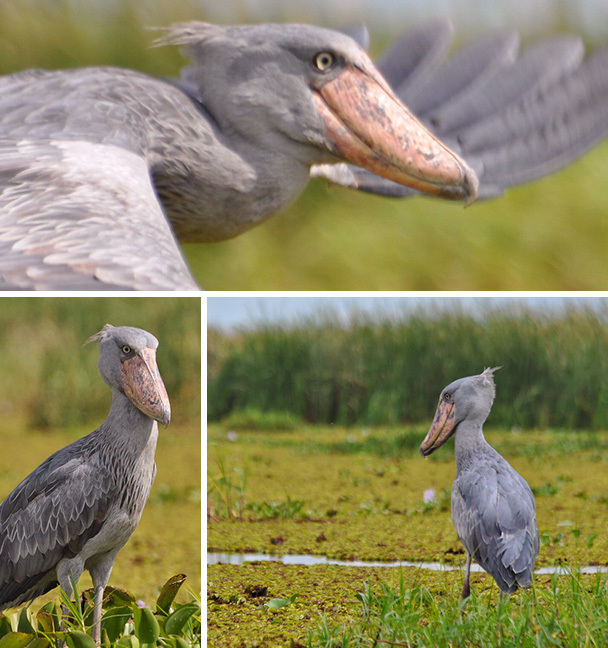 A shoebill, standing at over four feet tall, is a big tick for birders, but its prehistoric, almost scary demeanour is appealing to the most casual of safari observers. Stay at a lodge near Lake Albert in Western Uganda and you have a good chance of spotting one. I feel very fortunate to be going to the largest religious gathering on the globe next year. 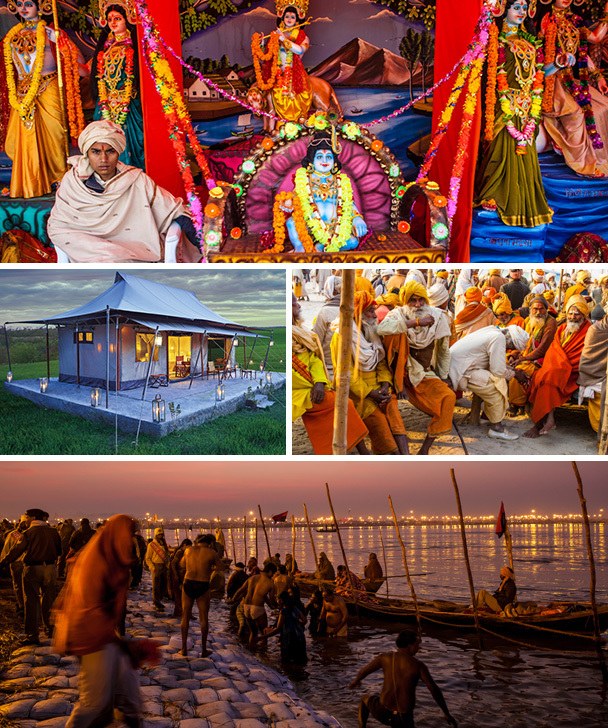 Millions of Hindu pilgrims will journey to the Kumbh Mela at Allahabad in Northern India to bathe at an auspicious time on the banks of the Sangam where three holy rivers —the Ganges, the Yamuna and the mystical Saraswati — converge. From January 11th until March 6th you can see Naga sadhus followed by Hindu devotees streaming into the holy river. The sacred waters will wash away their sins, the strength of the purification during the designated Kumbh period increasing a thousandfold. The sadhus practise extreme asceticism, often undergoing acts of deprivation and nearly always taking vows of poverty and celibacy. Dressed in orange, their bodies smeared in ash, they are easy to spot and are highly revered throughout Hindu culture. A tented camp will be set up during this period on a hill high above the river where you can stay for a few days to witness this unique spectacle. Grab your chance, as this only happens here once every six years. With thanks to Rozanne, Philip Robinson, Kamili safaris, UTC for the pictures.